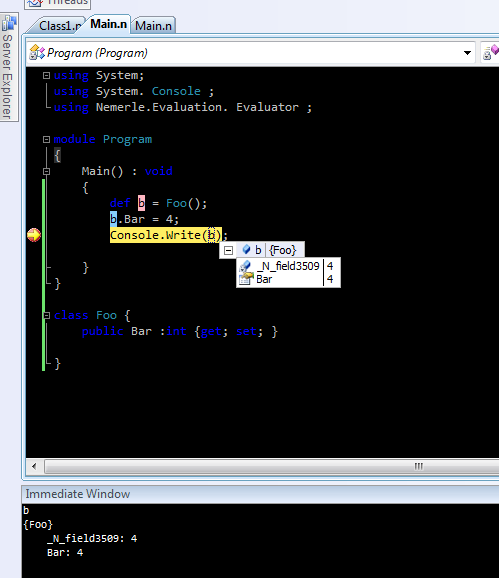 Onur Gumus's Blog: Don't wait for C# 5, use Nemerle Now !!! Don't wait for C# 5, use Nemerle Now !!! Just install nemerle from http://nemerle.org and add Nemerle.Macros and Nemerle.Evaluator as reference and run the code that's it! Do you know that is a feature of Mono and not of NMerle? 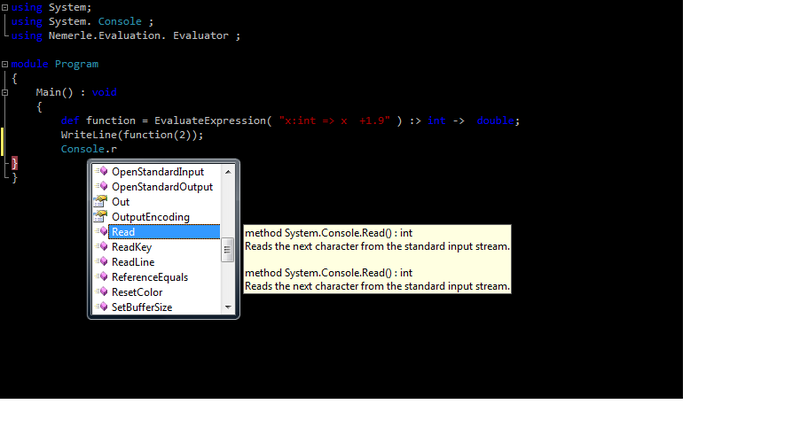 You can do this with C# on mono too. Umm, I think one problem with Nemerle is there's very little documentation available (tutorials and such) that one can peruse. 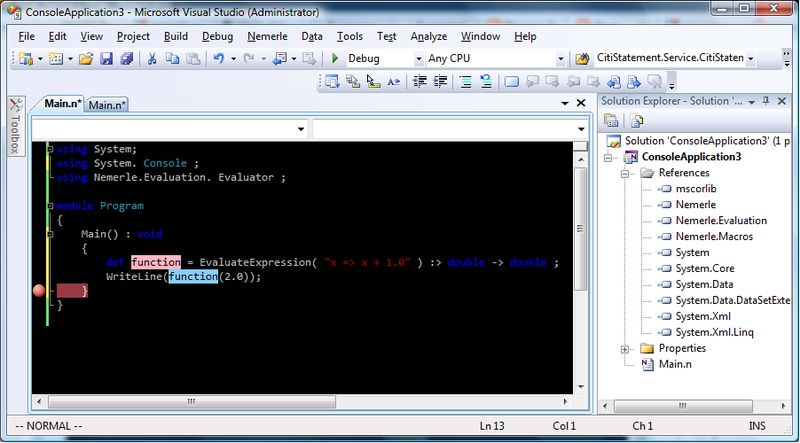 Also, Visual Studio support is a bit thin on the ground - there's no IntelliSense for Nemerle, right?